Want to read Nightmare’s ebook editions, but you’re not sure how to go about getting your ebook files onto your favorite reading device or into your favorite reading app? Here are some tips you might find useful. If you have a Kindle: The easiest thing to do is to email the mobi version of the magazine to your Kindle email address (it will end with @kindle.com). That will send it to your “Personal Docs” library and you’ll be able to access it there. You can learn more about how the Personal Docs (a/k/a “Send to Kindle”) service works by reading Amazon’s Help page. 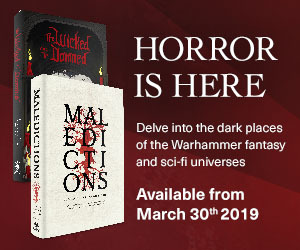 On your Nightmare My Account page, you can also enter your @kindle.com address there, and every month we’ll automatically just send your issues there (and thus directly to your Kindle library). Note: In order for your Kindle to accept the incoming email from us, you’ll need to add [email protected] to your Personal Docs whitelist. If you use a Kindle app for a tablet or mobile device: You can follow the same procedures as above for Kindle users. So, if you have an iPad or an iPhone, or an Android device etc., you can just download the Kindle app and read your issue in the same way as described above. If you use the Kindle for PC or Kindle for Mac apps: You can download the mobi to your desktop, then, when you launch the file (i.e., double-click it), it should open using the Kindle app. You cannot use the Personal Docs service as described above with the PC or Mac version of the Kindle app. If you have an iPad or iPhone: You’ll almost certainly want to use the epub or PDF version of the magazine, unless you want to use the Kindle app as described above. The easiest way to read it on an iPad or iPhone is probably to use iBooks (or see below for some iOS alternatives). To get the epub/PDF into iBooks (or your iOS ebook-reading app of choice), just open up the email we sent you that included the epub/PDF attachment using the standard iOS Mail app. Click and hold the epub/PDF attachment icon; after holding it for a few seconds, a little window will open and ask what you want to use to open the file; select “Open in iBooks” (or whatever app you want to use). That will switch you out of the Mail app and take you to the ebook reading app, and after a moment or two your ebook reading app should just open the issue for you (and at the same time add the issue to your library). On your Nightmare My Account page, you can enter your regular email address there, and every month we’ll automatically email you your issues. Unfortunately there’s no way to automatically add your epub/PDF files to your library in the same way that you can on Kindle apps/devices, so you’ll have to add your issues to your library manually in the manner described here. You can also download the issue to your computer, put the epub/PDF into iTunes, and then sync your device, though that method is probably the most complicated. If you use an Android device: If you want to use the epub version, try the Aldiko, Nook, FBReader, Google Play, and Kobo apps. Or you can use the mobi version via the Kindle app for Android, as described above. If you want to manually transfer your files: To a Nook, for instance, or pretty much any ebook reader, the ebook management software Calibre allows you to store your collection all in one place and then upload content to your device by connecting via USB. If you use anything else: You’ll probably want to consult the Wikipedia page for ePub, which lists some software reading systems for ePub. Recommended systems include Lexcycle Stanza, Bluefire Reader, and Readmill. If you prefer PDFs: Good news! In addition to mobi and epub, we now offer all of our ebook issues in PDF format. Pretty much every computer should be able to open up PDFs no problem, but if you don’t have software on your computer that can open it already, just install the free Adobe Acrobat Reader app. All purchases from the Nightmare store are available in DRM-free epub, mobi, and pdf format. If you have any trouble reading the ebook editions of magazine, please do let us know and we’ll do our best to help. Just email [email protected].